DomainKing : Nigerian ccTLD domain has stolen Rick Schwartz's thunder! :DomainGang DomainKing : Nigerian ccTLD domain has stolen Rick Schwartz's thunder! DomainKing : Nigerian ccTLD domain has stolen Rick Schwartz’s thunder! 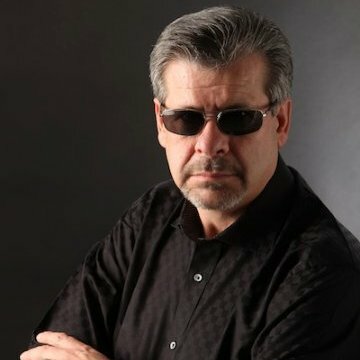 The Domain King, Rick Schwartz, is being missed among the domain community; as a blogger, he last posted in December. Rick announced his retirement after 10 years of successful TRAFFIC shows, but it seems that some folks are after his crown! 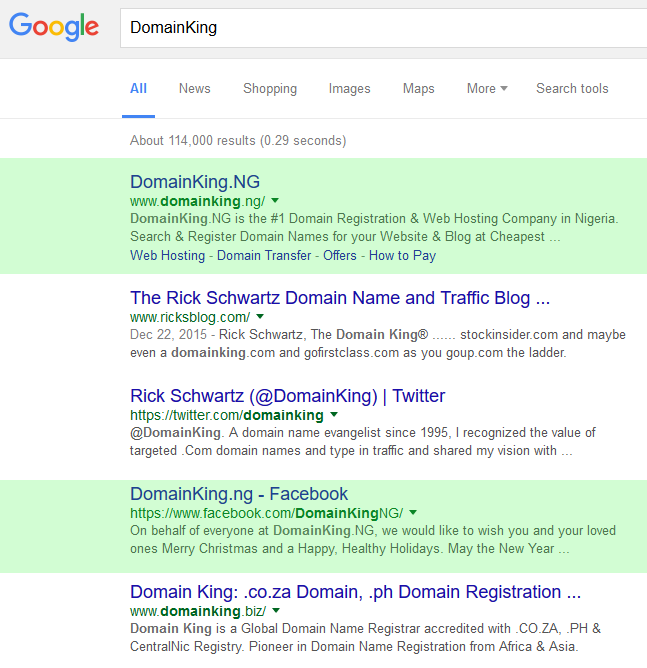 It’s rather shocking seeing how a Nigerian domain registration and web hosting web site tops Rick Schwartz, when searching for “domainking” in Google. Operating from DomainKing.ng, the redundant “NG” ending would be humorous, if it weren’t ranking higher than Rick Schwartz’s own blog! As one can see from this screenshot below, the Nigerian web site appears as the #1 result, and their Facebook page ranks at spot #4. At spot #5, DomainKing.biz appears to be the primary operators of the Nigeria-based web site. According to their “About us” page, they formed in 2008 as Ideaa Biz Solutions; they launched DomainKing in July 2012. The company appears to be based in India, per Ideaa.biz. The latter, is an accredited domain registrar in various TLDs and ccTLDs. So what will the real Domain King do about this? I can’t wait to see what the real DomainKing will do!